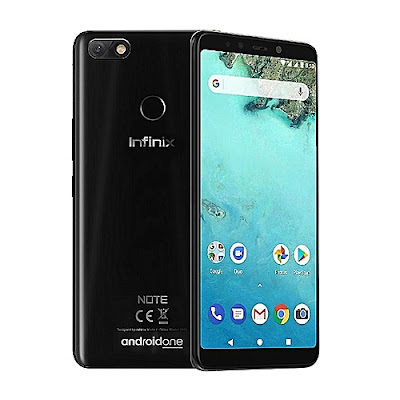 Infinix today launched Infinix Note 5 Android One smartphone in India. It comes with helio P23 Processor and 4500mAh battery. It has a 5.99-inch Full HD+ (2160 x 1080) - 18:9 ratio, powered by Helio P23 processor with 3GB/32GB and 4GB/64GB for memory and storage.At the front, there's a large 16MP selfie camera with 'AI selfie' optimizations that include AI Bokeh Selfie, Portrait Mode with AI-enhanced low-light improvement and 12MP Rear camera with larger 1.25-micron pixels that capture more light. Infinix Note 5 comes in Milan Black, Berlin Gray, and Ice Blue colors priced at Rs. 9999 for 3GB RAM and Rs. 11,999 for 4GB RAM. It will be available exclusively from Flipkart starting August 31st.